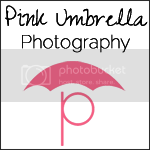 Pink Umbrella Photography: Love Is In The Air!!! Love is in the air... or it will be soon enough right? I have always thought that Valentines Day is a pointless holiday where I am forced to buy something for my husband and he is forced to buy something for me. I have never really liked Valentines day even before my husband. I know, I know.. I am a party pooper!! So I am kind of excited about it this year because we are doing something a little different. We are going to make each others gifts this year. We can do whatever we want for one another but the gift has to be made by each other. So... I have a few ideas up my sleeve this year so check them out and let me know what you think. This next idea is to cute. You can buy these pieces of paper like they are or you could go to your local Lowe's or Home Depot and ask them to give you any of their left overs that have red and pink for colors, to you!! I actually found this idea over at Country Living. You can then print what you want the card to say or you could buy stickers and put them on the card. Which ever would be super cute. What is Valentines Day without your special someones candy. 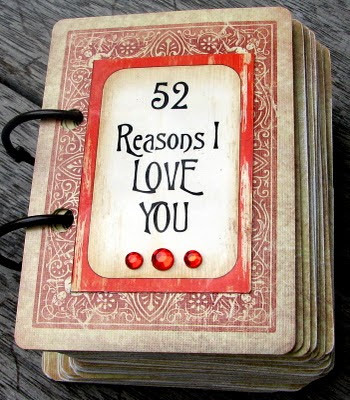 This is a cute way to make something that tells them you love them (or dig them in this case). Check out the full instruction on exactly how to do this over at Family Fun. 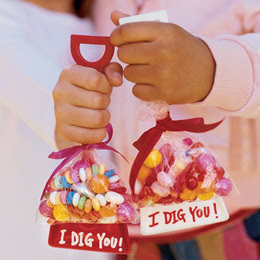 If you do not like the saying "I Dig You" there is several other sayings they have that would fit this cute crafty idea too!! This next idea I love and I think I am going to do it!! You just take a deck of old cards and you can either write on them with a black permanent marker or you get cute little stickers and put what you want to say on the cards. Here is another picture to give you an idea about what to say. That one makes me laugh!! HAHA! What do you think? I think this is such a great idea and you could put it in his or her vehicle at night so he See's them and reads them on the way to work in the morning. Cute, cute. 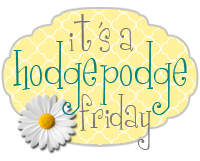 Hop over to PaperVine and get the full idea on this fun idea. I kind of did something like this last year for my husband but I put things in the jar that I loved about him. With this idea over at Serving Pink Lemonade she puts things in the jar for that someone to actually do, which is a great idea. -Give five compliments to your special someone. There are so many more things you can put in there to make your special someone feel special. There are some great ideas over at Serving Pink Lemonade but I kind of twisted some of them to be more oriented towards the person you love and making them feel special. Thats it for now... so let me know what you think. Hope you and your honey have a very sweet Valentines Day!! Thank you so much Mia for stopping by. I am your newest follower as well. 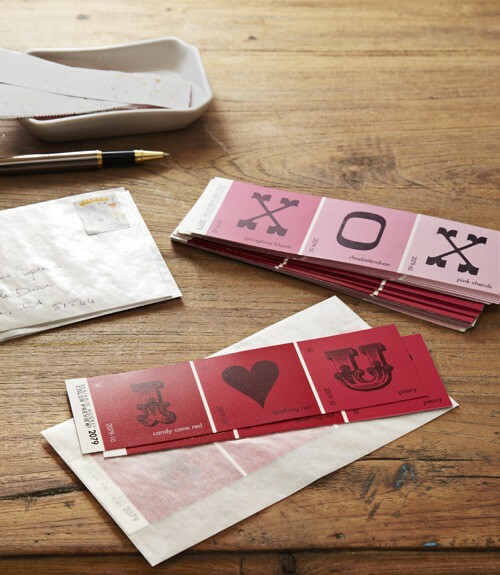 What great ideas, really love the shovel and the deck of cards! Thank you for sharing. Found you on FT. Cute ideas and timely! 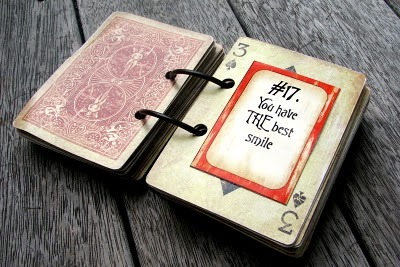 I love the playing card book too! Thanks for sharing! So sweet! We always do homemade gifts. I don't love the commercialism of Valentine's day either but it's always fun to make something that says "I love you" :) LOVE the card deck idea! !